The internet can be a confusing place and who has time to manage it? That’s where I come in. I help you succeed by building your brand with a website, writing and managing your social media and blogs and creating email marketing. I free you up to do what you do best…build your business. We can start slowly and build over time or get the whole ball rolling quickly. I’ll help you navigate all the details and jargon. An ability to hear, interpret, and clarify communication, helps me understand your goals and preferences. My talents, passions and play revolve around helping people. Having the heart to teach and a degree in Education helps me cut through the details to present information in a concise manner that is easily understood. Helping you know how to use your website, social media and other tools is an important part of my service. I describe myself as a mixture of teacher, gearhead, and cheerleader—a believer, wife, mother, daughter, sister, friend and nerd. My friends and family have described me as encouraging, outgoing, empathetic, creative, persistent and fun. These attributes contribute significantly to my problem-solving and communications skills. Currently, I work remotely from my home in Conway, Arkansas where I live with my husband and four children. 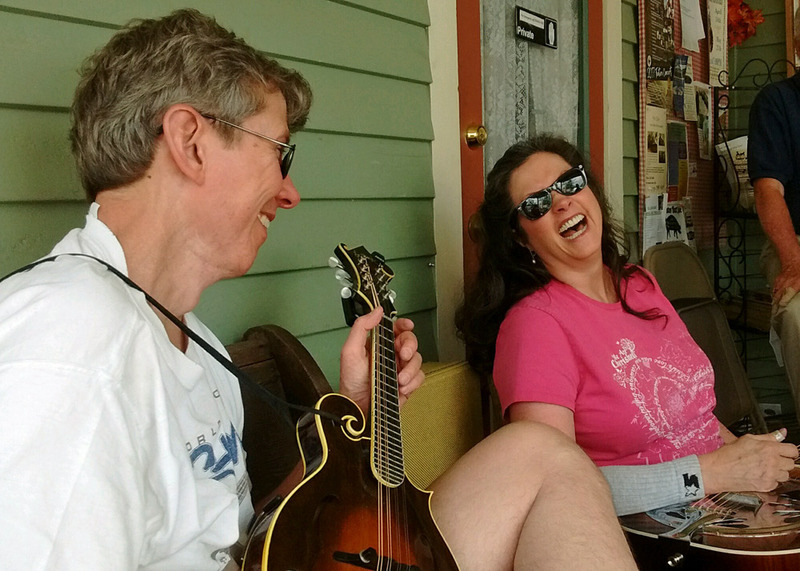 When I’m not working, I enjoy playing guitar, resonator guitar and singing bluegrass music with my husband. Outside of web design and teaching, my interests include New Life Church, Whole Soul Ministry, Bluegrass music, Razorback sports, and vintage acoustic instruments. Along with my husband, David, we own and operate Round Mountain Sounds, an online archive, registry, and gallery for Unicorn Mandolins.